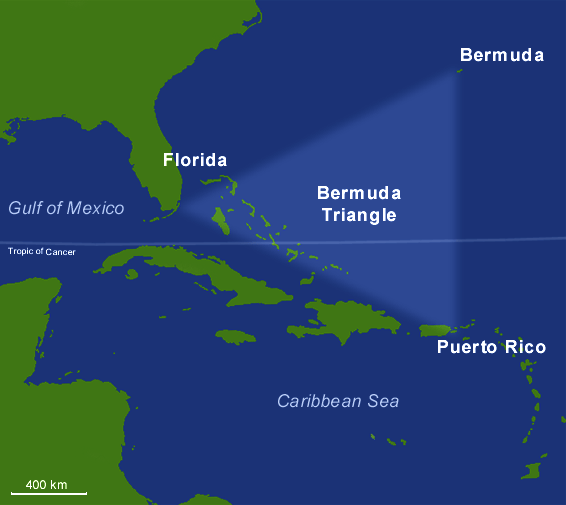 The Bermuda Triangle (sometimes also referred to as the Devil’s Triangle) is a stretch of the Atlantic Ocean bordered by a line from Florida to the islands of Bermuda, to Puerto Rico and then back to Florida. It is one of the biggest mysteries of our time – that perhaps isn’t really a mystery. The term “Bermuda Triangle” was first used in an article written by Vincent H. Gaddis for Argosy magazine in 1964. In the article, Gaddis claimed that in this strange sea a number of ships and planes had disappeared without explanation. Gaddis wasn’t the first one to come to this conclusion, either. As early as 1952, George X. Sands, in a report in Fate magazine, noted what seemed like an unusually large number of strange accidents in that region. In 1969 John Wallace Spencer wrote a book called Limbo of the Lost specifically about the Triangle and, two years later, a feature documentary on the subject, The Devil’s Triangle, was released. These, along with the bestseller The Bermuda Triangle, published in 1974, permanently registered the legend of the “Hoodoo Sea” within popular culture. Why do ships and planes seem to go missing in the region? Some authors suggested it may be due to a strange magnetic anomaly that affects compass readings (in fact they claim Columbus noted this when he sailed through the area in 1492). Others theorize that methane eruptions from the ocean floor may suddenly be turning the sea into a froth that can’t support a ship’s weight so it sinks (though there is no evidence of this type of thing happening in the Triangle for the past 15,000 years). Several books have gone as far as conjecturing that the disappearances are due to an intelligent, technologically advanced race living in space or under the sea. In 1975 Larry Kusche, a librarian at Arizona State University, reached a totally different conclusion. Kusche decided to investigate the claims made by these articles and books. What he found he published in his own book entitled The Bermuda Triangle Mystery-Solved. Kusche had carefully dug into records other writers had neglected. He found that many of the strange accidents were not so strange after all. Often a Triangle writer had noted a ship or plane had disappeared in “calms seas” when the record showed a raging storm had been in progress. Others said ships had “mysteriously vanished” when their remains had actually been found and the cause of their sinking explained. In one case a ship listed missing in the Triangle actually had disappeared in the Pacific Ocean some 3,000 miles away! The author had confused the name of the Pacific port the ship had left with a city of the same name on the Atlantic coast. More significantly, a check of Lloyd’s of London’s accident records by the editor of Fate in 1975 showed that the Triangle was no more dangerous than any other part of the ocean. U.S. Coast Guard records confirmed this and since that time no good arguments have ever been made to refute those statistics. So many argue that the Bermuda Triangle mystery has disappeared, in the same way many of its supposed victims vanished. USS Cyclops was a massive carrier ship and supplied fuel to the American fleet during the World War-I. The 522-foot Cyclops displaced 12,000 tons of water. On January 8, 1918, the ship started sail from the snow covered Norfolk navy port towards Rio of Brazil under the command of Lt. Commander Worley. The ship was only a few years old. The purpose of this voyage was to unload coal at Rio and load Manganese ores used mainly for making steel. On January 28, the ship reached Rio. It would now dock here for two weeks. And as planned, large amount of coal was unloaded and then 10,000 tons of Manganese ores were loaded into the ship. So the ship was heavy and full. On the day of its departure, surprisingly some 73 local sailors were asked to board the ship. And more surprisingly, the American Consulate General of Rio, Gottschalk also boarded the ship. When asked why? He mentioned that he wanted to enlist his name in the US army to serve the nation during the war. 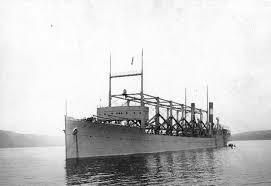 USS Cyclops then set sail again on February 16th with 309 persons on board and huge load of cargo. It was homebound for Baltimore via Bahi. Now there was another odd turn to the story. After the ship left Bahi, instead of sailing straight towards Baltimore, the captain took it to Barbados in West Indies on March 3rd. He said that they needed more fuel and supplies. Although the US Consul General in Barbados did not feel the necessity of loading more coal and supplies, but the captain insisted, and it was finally done. On March 4th, Cyclops set sail again and was scheduled to reach Baltimore on March 13th. But… it was never heard of again. When the ship did not reach Baltimore as scheduled, a massive search was initiated soon along her whole course. Every naval ship from Cuba to Puerto Rico searched for any possible debris anticipating that it might had fallen pray to German Submarines. However, there was no trace of Cyclops. The Captain Worley used to be hated by most of his fellow staffs and officers. They always accused him to be a pro-German. It was actually found out later that Captain Worley was a German born and had a different name earlier. It is not known what caused him to change his name. Also Gottschalk, the US Consulate General of Rio, who surprisingly boarded the ship along with 73 other local sailors, was also very popular among the German community in Brazil. To top it all, lot more coal and fuel were loaded from Barbados when it was not officially planned or even required. So was it a case of Sabotage? Why was there no SOS call made by the captain. Since the US war with Germany already broke out by then, did the captain and Gottschalk connived together and sunk the ship or destroyed it? Or may be taken it all the way to Germany? Here is another theory. One of the navy officers, Nervig was onboard the Cyclops till Rio. He wrote a report that he often found the deck of the ship swaying when large waves struck the ship. So the ship was already showing signs of weakening and getting split. So there may had been a structural failure that sunk the ship. Another report says that on its sail from Rio, Cyclops was overloaded with Manganese plus fuel and many persons aboard. The load was more than the ship was designed to handle. A heavy mid oceanic storm had hit the ship and it overturned, cargo scattered and it all sank to the bottom of the ocean. Was the ship blasted by a German underwater mine or torpedoed by a German Sub? US Navy claims that such possibility does not exist if the ship had been on its right course. However, had the ship been off its track by a large margin, there was a high possibility of that to happen and the ship would have perished. 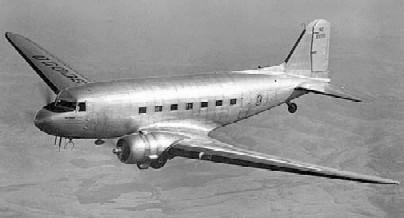 On December 28, 1948, the flight Douglas Dakota DC-3 (NC16002) took off at 10.03p.m. from San Juan airport of Puerto Rico heading for Miami (Florida). While it was only 50 miles south of Florida, it sent the last message to indicate its position. Only 20 minutes to go, the flight was never seen or heard of again. It disappeared in the Bermuda Triangle area with all its 28 passengers and 3 crew members.This was the first instance of a DC-3 aircraft disappearing. There were subsequently two more such cases, all of them happened within 50 miles of Florida Keys. The Keys is a string of small islands just south of Florida. At 7:40p.m. on 27th December 1948, the DC-3 landed at San Juan airport in Puerto Rico. It came from Miami and was scheduled to return after a short halt at San Juan. Captain Bob Linquist reported to the ground engineers that the light indicator for the landing gear did not come on at the time of landing. The ground crew immediately started the checks and figured out that the battery was weak and running low on water. The stewardess Mary Burkes was busy deplaning the passengers and the co-pilot Ernest Hill was going around the aircraft for routine checks. The ground crew refilled the battery and informed the captain that it would take several hours for the batteries to recharge fully. The captain however decided not to wait that long and rather charge the batteries in the air from the aircraft’s own generator. So at 8:30p.m the DC-3 was all set to depart for Miami. By this time, Mary Burkes had on-boarded 28 passengers for the return trip. However, there was lot more annoying wait before the plane could finally take off. The radio transmitter in the aircraft was not working properly due to the low battery. So the aircraft was asked to wait at the end of the tarmac. The head of Puerto Rican Transport drove to the plane to talk to the captain. Linquist informed him that he could clearly receive the messages but could not every time send messages due to the low battery. Finally at 10:03p.m. when all seemed to be okay, the flight was allowed to take off. The captain was advised to stay close to San Juan till the two way communication was fully established from the air. The flight circled the San Juan city for 11 minutes, and once the both way radio communication was confirmed, it started its journey out towards the sea for Miami. Next, at 11:23p.m, the captain Linquist sent his routine radio transmission to indicate the flight position – it was at 8,300 feet altitude and reported ETA 4.03a.m at Miami. But funnily, while the message was received at Miami control tower which was some 700 miles away, there was no transmission received at San Juan which was much closer. The captain next reported the flight position when it was 50 miles south of Florida and only 20 minutes to land. Strangely again, the message this time was received at New Orleans which was about 600 miles away and not Miami that was so close by. New Orleans radio tower forwarded the message to Miami station. And that was the last time a message was ever received from the DC-3. The weather was normal. Repeated radio signals from the control towers did not get any response. The flight DC-3 had suddenly disappeared with all its passengers and crew. An explosion could have explained the aircraft getting disintegrated in the air keeping no trace of anything. No one from near or around Florida had heard any explosion. Also the waters at the Florida Keys area is so shallow that any debris could easily be seen. Even after long intensive search, there was nothing found. Many believe that the transmitter of the aircraft was faulty and therefore the captain did not receive a message sent from Miami radio station at 12:15a.m informing that there was a change in wind direction from North West to North East. As a result, the plane could have been blown 40 to 50 miles south and off its course by the wind. Then they would have got lost, had run out of fuel and crashed. The gulf stream would have dispersed all the debris and bodies. This also looks improbable because when the captain last reported its position, it was 50 miles south of Florida. There was no need for the aircraft to go south of Florida to reach Miami. So the captain knew that they had been moved off course by the wind and would have used the in-flight positioning instrument to fix the position of the flight. One thing for sure. Whatever may have happened, would have happened suddenly and very fast. The real mystery of Douglas Dakota DC-3 in Bermuda Triangle remains unsolved till date. The tale of Flight 19 started on December 5th, 1945. Five Avenger torpedo bombers lifted into the air from the Naval Air Station at Fort Lauderdale, Florida, at 2:10 in the afternoon. It was a routine practice mission and the flight was composed of all students except for the Commander, a Lt. Charles Taylor. The mission called for Taylor and his group of 13 men to fly due east 56 miles to Hens and Chicken Shoals to conduct practice bombing runs. When they had completed that objective, the flight plan called for them to fly an additional 67 miles east, and then turn north for 73 miles and finally straight back to base, a distance of 120 miles. This course would take them on a triangular path over the sea. About an hour and a half after the flight had left, Lt. Robert Cox at the base picked up a radio transmission from Taylor. Taylor indicated that his compasses were not working, but he believed himself to be somewhere over the Florida Keys (the Keys are a long chain of islands south of the Florida mainland). Cox urged him to fly north toward Miami; if Taylor was sure the flight was over the Keys. Planes today have a number of ways that they can check their current position including listening to a set of GPS (Global Positioning Satellites) in orbit around the earth. It is almost impossible for a pilot to get lost if he has the right equipment and uses it properly. In 1945, though, planes flying over water had to depend on knowing their starting point, how long and fast they had flown, and in what direction. If a pilot made a mistake with any of these figures, he was lost. Over the ocean there were no landmarks to set him right. Apparently Taylor had become confused at some point in the flight. He was an experienced pilot, but hadn’t spent a lot of time flying east toward the Bahamas which was where he was going on that day. For some reason Taylor apparently thought the flight had started out in the wrong direction and had headed south toward the Keys, instead of east. This thought was to color his decisions throughout the rest of the flight with deadly results. By 4:45 P.M. it was obvious to the people on the ground that Taylor was hopelessly lost. He was urged to turn control of the flight over to one of his students, but apparently he didn’t. As it grew dark, communications deteriorated. From the few words that did get through it was apparent Taylor was still flying north and east, the wrong direction. At 5:50 P.M. the ComGulf Sea Frontier Evaluation Center managed get a fix on Flight 19’s weakening signals. It was apparently east of New Smyrna Beach, Florida. By then communications were so poor that this information could not be passed to the lost planes. At 6:20 a Dumbo flying boat was dispatched to try and find Flight 19 and guide it back. Within the hour two more planes, Martin Mariners, joined the search. Hope was rapidly fading for Flight 19 by then. The weather was getting rough and the Avengers were very low on fuel. The last transmission from Flight 19 was heard at 7:04 P.M. Planes searched the area through the night and the next day. There was no sign of the Avengers. What happened to the missing Martin Mariner? Well, the crew of the SS Gaines Mill observed an explosion over the water shortly after the Mariner had taken off. They headed toward the site and there they saw what looked like oil and airplane debris floating on the surface. None of it was recovered because of the bad weather, but there seems little doubt this was the remains of the Mariner. The plane had a reputation as being a “flying bomb” which would burst into flame from even a single, small spark. Speculation is that one of 22 men on board, unaware that the unpressurized cabin contained gas fumes, lit a cigarette, causing the explosion. So how did this tragedy turn into a Bermuda Triangle mystery? The Navy’s original investigation concluded the accident had been caused by Taylor’s navigational confusion. According to those that knew him he was a good pilot, but often navigated “flying by the seat of his pants” and had gotten lost in the past. Taylor’s mother refused to accept that and finally got the Navy to change the report to read that the disaster was for “causes or reasons unknown.” This may have spared the woman’s feelings, but blurred the actual facts. The saga of Flight 19 is probably the most repeated story about the Bermuda Triangle. 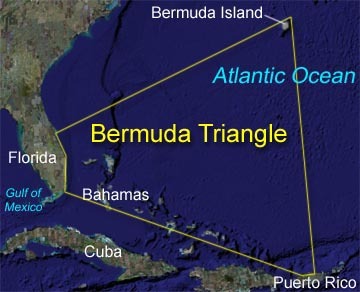 Vincent Gaddis put the tale into the same Argosy magazine article where he coined the term “Bermuda Triangle” in 1964 and thetwo have been connected ever since. The planes and their pilots even found their way into the science fiction film classic, Close Encounters of the Third Kind. Where is Flight 19 now? Well, in 1991 five Avengers were found in 750 feet of water off the coast of Florida by the salvage ship Deep Sea. 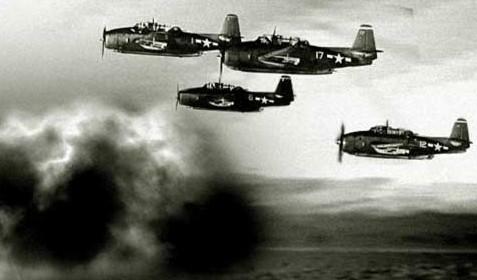 Examination of the plane’s ID numbers, however, showed that they were not from Flight 19 (as many as 139 Avengers were thought to have gone into the water off the coast of Florida during the war). It seems the final resting place of the lost squadron and their crews is still a real Bermuda Triangle mystery. The Bermuda Triangle is not small. In fact, it is quite large and covers an area of 440,000 miles of sea. This is larger than the combined area of Rajasthan, Madhya Pradesh & Maharashtra. The triangle is certainly not fixed and its effect can be experienced outside of the triangle too. The disappearances are ascribed to UFO’s and alien activity, city of Atlantis lost under the triangle, and various other technical, natural and geographical reasons. Whenever any plane or ship disappears in the Triangle, its debris cannot be found. The reason behind this is that Gulf Stream runs near the triangle, which quickly gets rid of the debris. At least 1000 lives are lost within the last 100 years. On average, 4 aircraft and 20 yachts go missing every year. Inside the Bermuda Triangle, US Government has AUTEC (for Atlantic Undersea Test and Evaluation Center), which is located on the Andros Island of Bahamas. Here US Navy tests their submarines, sonar and other weapons. However many are of the view that it is more than just the testing center. One of the biggest and famous losses of US Military occurred in 1945. Five US Navy Avenger torpedo bombers flew from Fort Lauderdale, Florida for a sortie to the island of Bimini. The mission had 14 men. After about 90 minutes, the radio operators received a signal that the compass was not working. After that the communication was lost. The bombers were never found. The three planes that went for their rescue also disappeared. The first person to report about Bermuda Triangle was Christopher Columbus. He wrote in his journals that inside the triangle, the ship’s compass stopped working and he also saw a fireball in the sky. Whether we are into researching fringe subjects or don’t spend time on it at all, we probably have all heard of the Bermuda Triangle at some point. The Bermuda Triangle is a mysterious, unworldly, and sometimes deadly place on earth that has had scientists scratching their heads for decades. Researchers have spent much time and energy looking into the mysteries of the Bermuda triangle and many have told some amazing stories. The triangle doesn’t come without speculation though. The bizarre time anomalies, disappearances and weird phenomena are able to be explained by natural occurrences in certain cases. But many cases still leave questions unanswered. What you could call more “outside the box” ideas insist that relics of an advanced, unknown culture left behind technology and great energy machines that literally warp space-time. 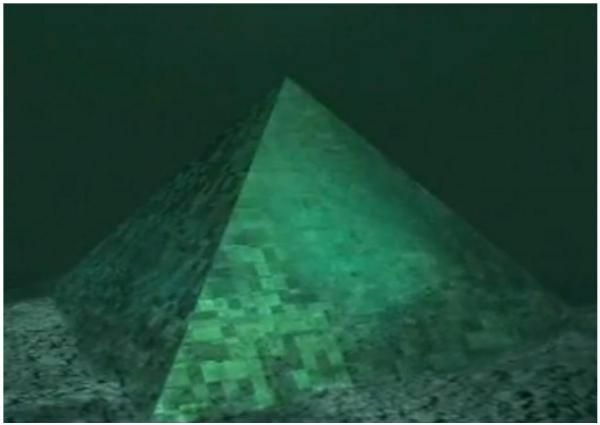 These potential amazing underwater pyramid structures were first identified using sonar technology according to oceanographer Dr. Verlag Meyer. In terms of the size of this re-discovered pyramid, it is larger in scale than the pyramids of ancient Egypt. Interestingly, on the top of the pyramid are two very large holes. Water moves at high speeds through one of the holes causing waves to roll by forming a giant vortex. This causes a massive surge of waves and mist on the surface of the sea. Scientists are now pondering a new idea, is this vortex effect explaining what has been happening with disappearing passing boats and planes in the mysterious Bermuda Triangle? If the pyramid does in fact exist it is technically not a new discovery as it was initially identified by a Dr. Ray Brown in the 1960s and since has been independently verified by diving teams from France and the U.S. Nonetheless, this re-discovery has rocked scientists around the world. More on Dr. Ray Brown’s experience, he came upon the structure while scuba diving in the Bahamas. He investigated the structure and was amazed that the sides of the pyramid were completely smooth and the joints between the individual blocks to be nearly imperceptible. Upon entering the pyramid, Ray was further astounded by the clean, smooth sides of the interior: no algae or coral grew on the walls. Inside the pyramid Ray was fascinated by the various structures and items he saw inside. At one point he attempted to remove a multi-faceted red gemstone attached to a metallic rod that descended from the center of the ceiling but was unable to dislodge it. As he continue on, about four feet below the point of the gemstone, he saw a bronze sculpture of two open hands. Resting in the open hands is a now famous crystal sphere that he was able to take from its resting place. Four inches in diameter, Ray was surprised that he could lift the crystal sphere easily. Generally we would think humanity would rush to discover more about this. Funding and resources could easily be granted to discover what is going on with the pyramid, the vortex and why it is all happening in the Bermuda Triangle. But it is much more likely that little to no more research will be done as it is often easier to ignore such discoveries that challenge mainstream science and news. It is also believed that further study of this pyramid could confirm what some engineers believe about pyraminds in that they were originally designed and created as massive power sources. This could also make a bigger stake for the the ancient city-state of Atlantis and possibly provide answers to the mysterious happenings that have been recorded since the 19th Century in the region of the Atlantic known as the Bermuda Triangle.